The game is playable as Space Marines, Imperial Guard, Tau, Eldar, Dark Eldar, Orks, and Chaos factions. 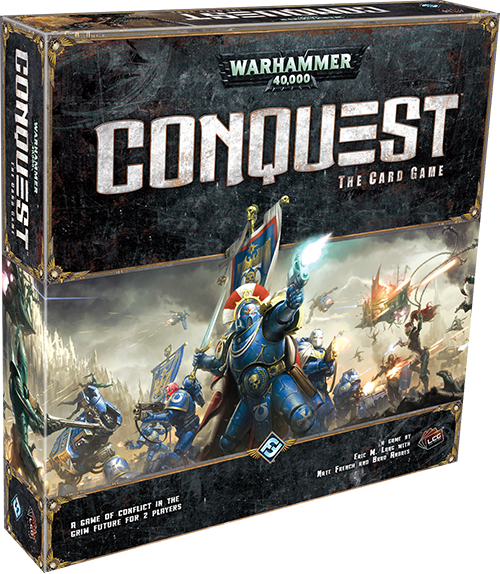 Continuing in their quest to make a living card game out of everything they possibly can, Fantasy Flight Games has announced Warhammer 40,000: Conquest. Including seven(!?) factions from the Warhammer 40k universe, the game will have players building decks and going head to head to conquer planets. Players will deploy units to various planets, and those units will then go head-to-head with other for victory. 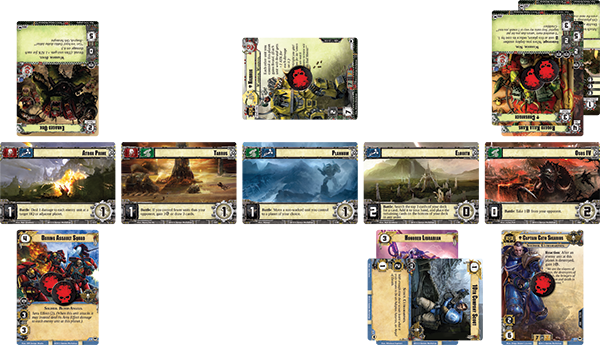 It looks relatively standard for Fantasy Flight's games, with the twist of having multiple battlefields - perhaps a mechanic cribbed, to a degree, from their Call of Cthulhu living card game. Interestingly, the game will include a variety of Commander cards, with each deck taking on a specific persona for that faction along with a number of required "squad cards" for their deck along with it. There is currently a base game announced for Quarter 3 of 2014, with expansions planned but not announced. 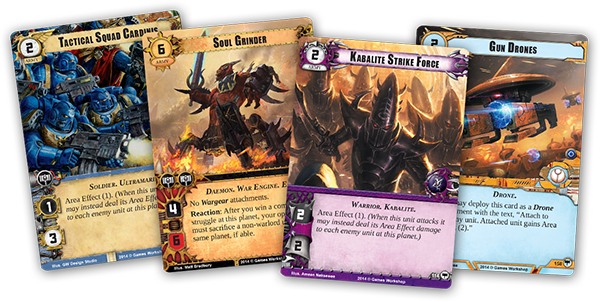 The base game will include over two hundred cards - suitable for a card game with seven unique factions. 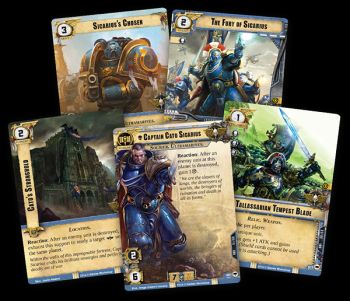 As is standard for many of FFG's living card games, factions will be able to draw cards from another suitably themed faction - sort of strange for the 40k universe, but when can beggars be choosers? 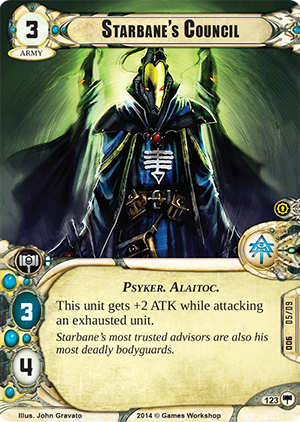 If Fantasy Flight is able to take some of the design lessons learned from Netrunner forward into this game, we might just get a great card game and not a repeat of the deeply underwhelming Horus Heresy card game. 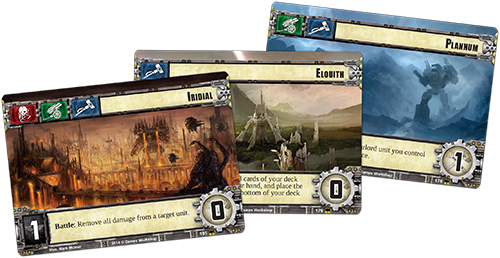 You can find the official Fantasy Flight Games website for Conquest here.